TBTI 'Economic viability' cluster coordinator Rashid Sumaila and his colleagues have recently published a paper 'Fishing for the future: An overview of challenges and opportunities' in Marine Policy. 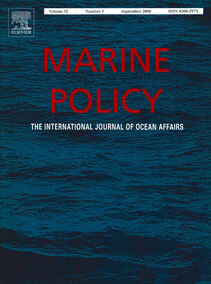 The article is part of the Special Section on Oceans, Fisheries and the Trade System; Guest Edited by U. Rashid Sumaila, Christophe Bellmann, Alice Tipping. The article surveys the current state and major trends in global fisheries; the environmental and social dimensions of fisheries; and explains how the international community has tried to meet the policy challenges associated with oceans and fisheries. The authors discuss attempts of the global community to address challenges of sustainable production by improving the governance and management of fisheries resources and explain why these attempts have not always successfully met the challenge of balancing current and future use of fisheries.